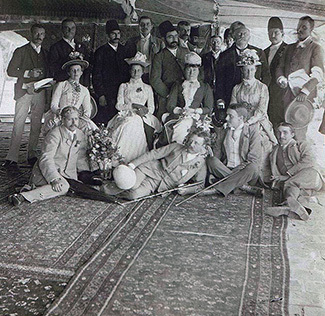 Cyrus Khonsari (second from the right) with clients from Manchester, around 1895. 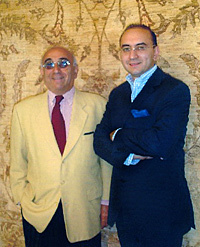 As a young entrepreneur, Cyrus Khonsari from the Yazd province, met a British cloth seller from Manchester. 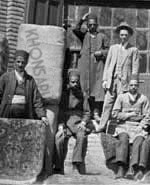 At the time there were special trade relations between the British Empire and its "protectorate" Persia. 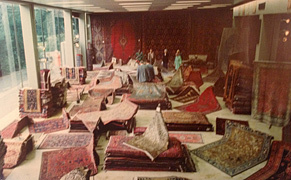 The demand for carpets increased, as well as in Europe oriental carpets from Persia were sought after. 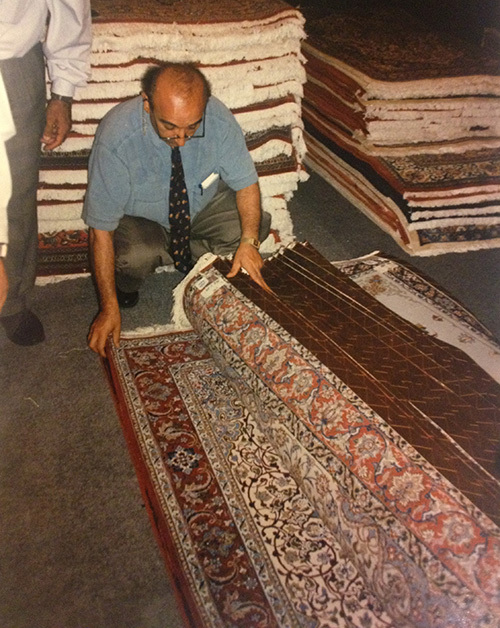 Since the demand for these Persian carpet increased, M. Reza Khonsari started to concentrate more on the export part of the business. Buyers from Europe and the United States visited regulary. 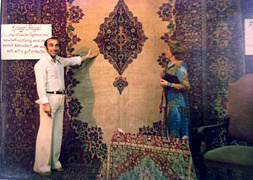 The carpet were exported via Turkey to European and American clients. 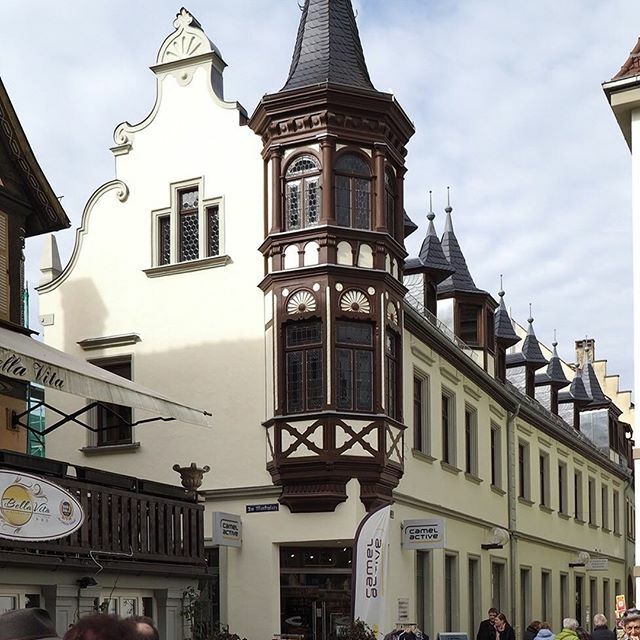 Bielefelde store, comprising of three floors. 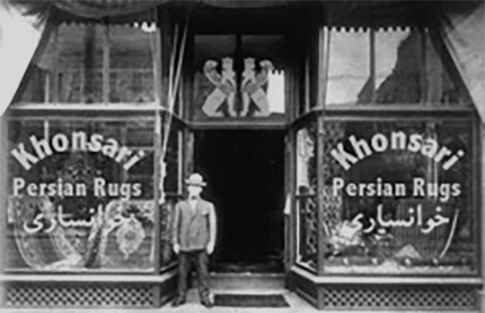 Around 1930 the family moved to Teheran and opened a store in the carpet bazar. The capital would give them better opportunities for foreign exports. Germany became an important importer. The founder M. Reza Khonsari decided to open a store in Bielefeld, Germany, in 1955. 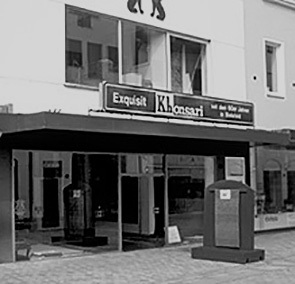 As the stores became more successful, a warehouse was build in 1963 in Bad Kissingen. 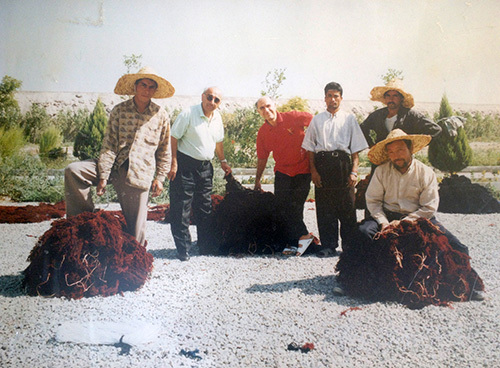 It was popular with famous personalities such as German president Lübke, King Bhumibol und Queen Sirikit from Thailand and famous actors all who were regular clients. 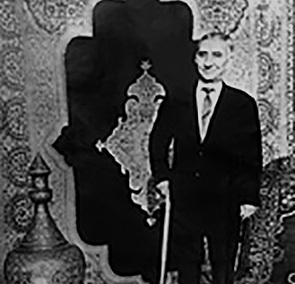 1963 M.Reza Khonsari, at the opening of the new store in Bad Kissinger. 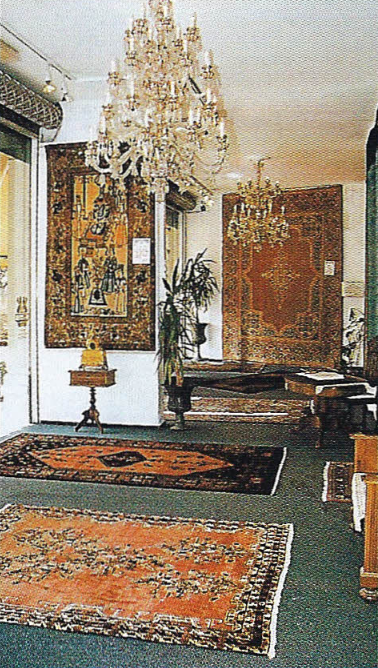 Now in its third generation in the carpet trade and after nearly 350,000 Imported carpets, the decision was made to build a major trading house for Persian carpets in Bad Kissingen. 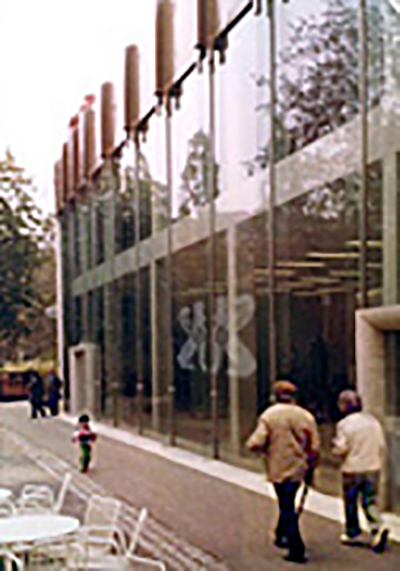 The store was completed in 1977 and at the time was a state of the art building. Constucted from glass and fine marble it was known as the Glass Palace. 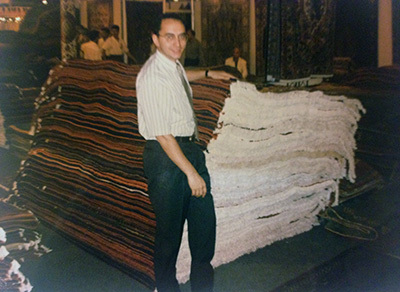 At about 2,500 square meters, the customer could choose from a collection of nearly 10,000 rugs and carpets. 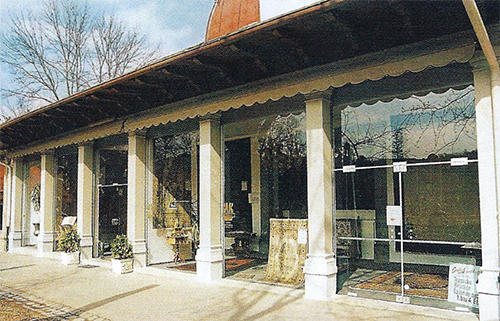 In 1985 an additional shop was opened to show case rare pieces on four floors. 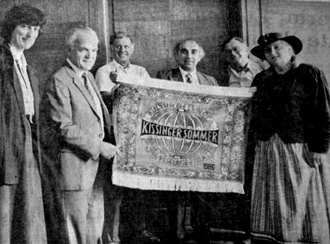 In 1986 Khonsari created a carpet to celebrate the Kissinger summer festival. This fine piece was handed over in the Bad Kissinger town hall. The receivers are town representatives including the organiser of the summer festival Dr. Steffi Wolfsjäger. Additional pieces were also created for the famous artist Lang Lang und Cecilia Bartoli. An unbelievable 400 million knotes were used to create this magnificient carpet. 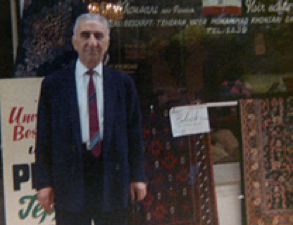 It required ten people over a course of eight years to complete the Nain carpet measuring 25 x 16 meters. 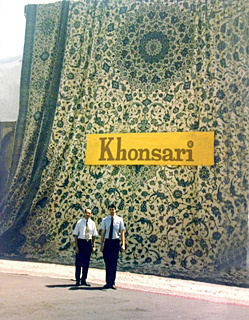 Even after more than a hundred years "Khonsari" stands for quality, integrety and creativity. This philosophy reflects all aspects of our company from purchasing, selling to customer service. 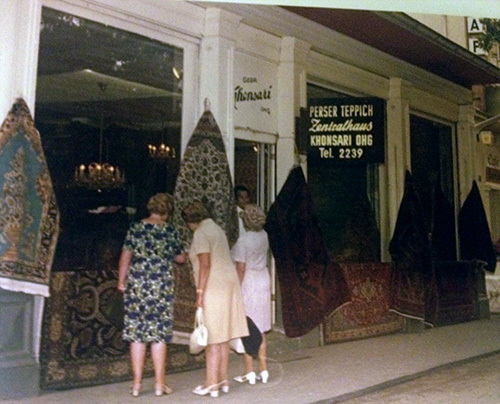 The Khonsari family celebrated the opening of their flagship store "Das Teppich Werk" following extensive refurbishment. The grade two listed building form 1888 acts as an ideal show room for these rare designer carpets. Designed in Germany these handmade rugs feature an evolution of the classic Persien rug, combining traditional and modern themes. A delight for any collector.